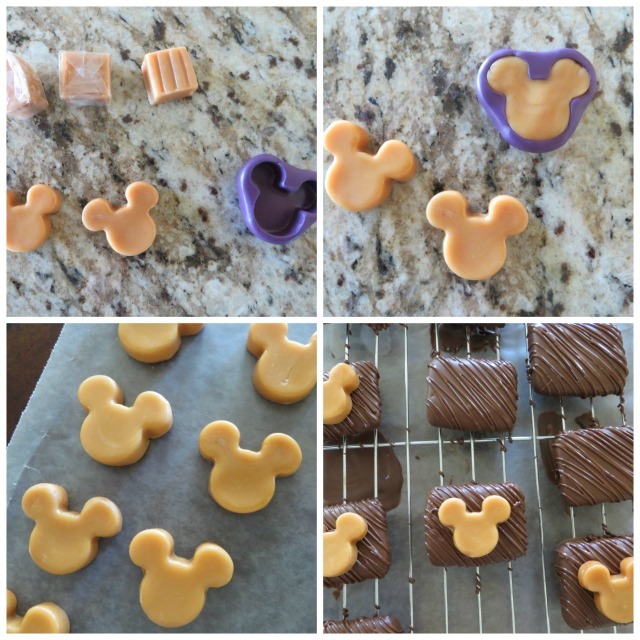 The Partiologist: Unique Disney Sweets! Every party I host for my family, I try and come up with a couple unique desserts. 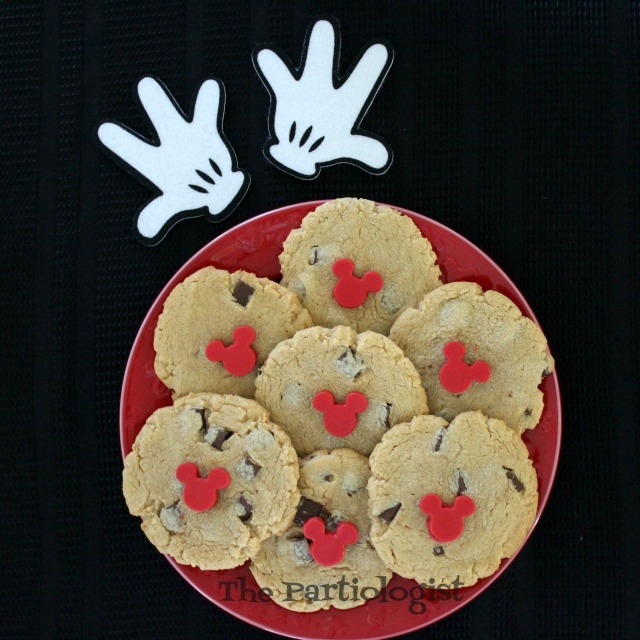 However, I always seem to include traditional Disney themed cookies. Just like these little cuties! And then I find a way to make something unique. This is where the Mickey topped chocolate marshmallows come in. 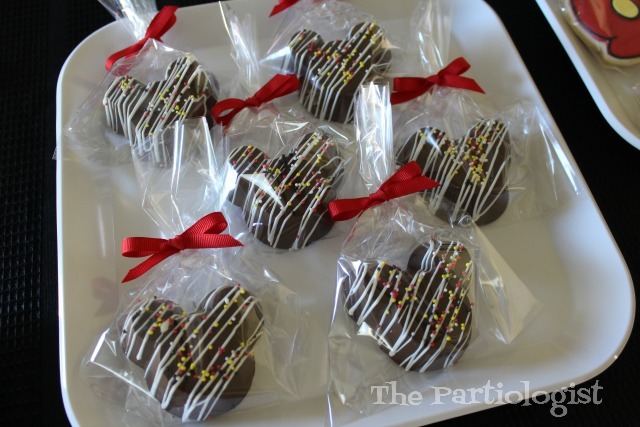 I took Kraft caramels and pressed them into a Mickey Mouse mold and placed them on top of a chocolate covered drizzled marshmallow. The mold I used is no longer available, but a similar one is listed below. 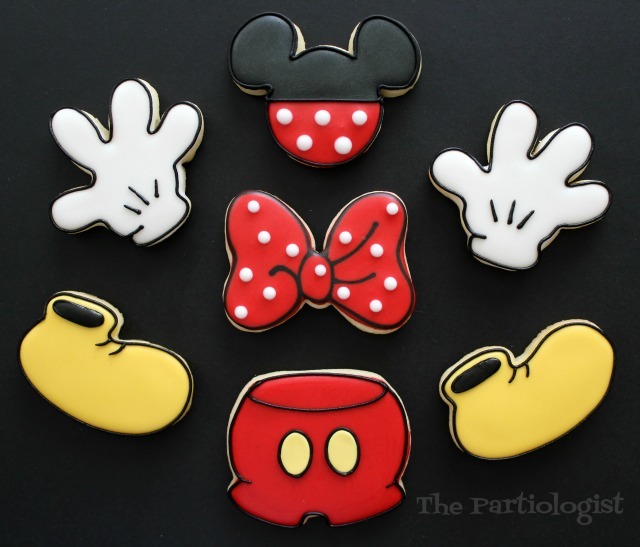 And did you know any cookie can be a Disney Themed Cookie? Using the same mold, this time I filled it with melted candy melts and topped the chocolate chunk cookies. Then I packaged each one and used them on the table for favors. Like there weren't enough favors. 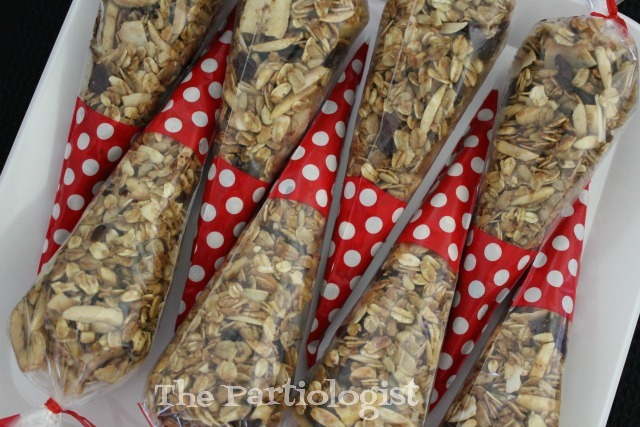 Homemade granola would be the perfect take along snack for those long Disney days, right? 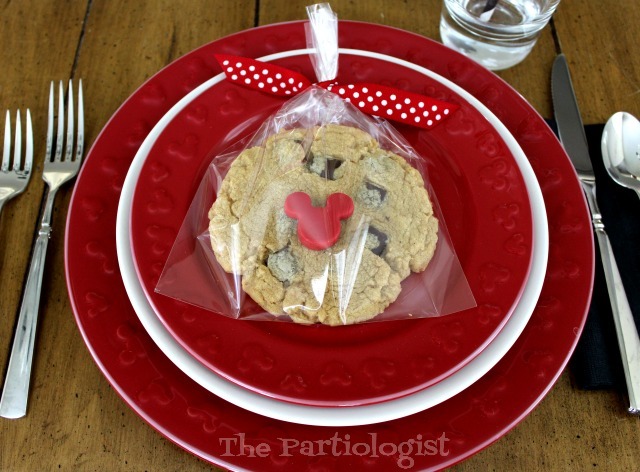 Packaging it up in polka dots made it Minnie Mouse approved! 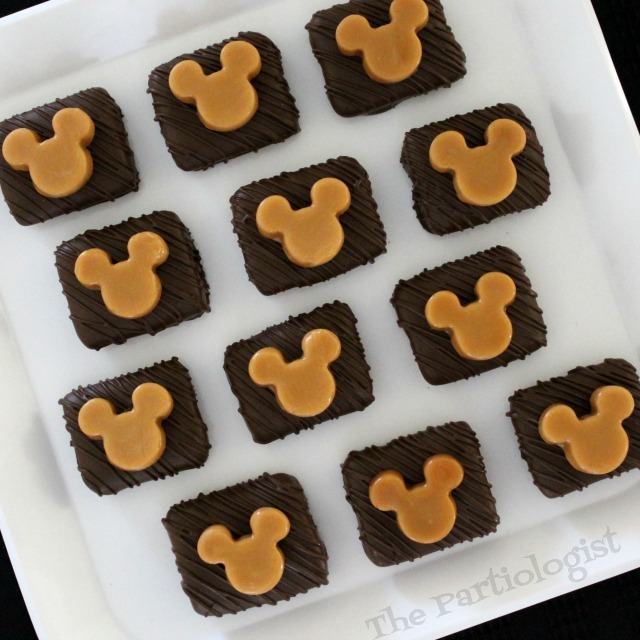 Then I filled Mickey shaped cups with the magical peanut butter filling. And packaged them up to take along. 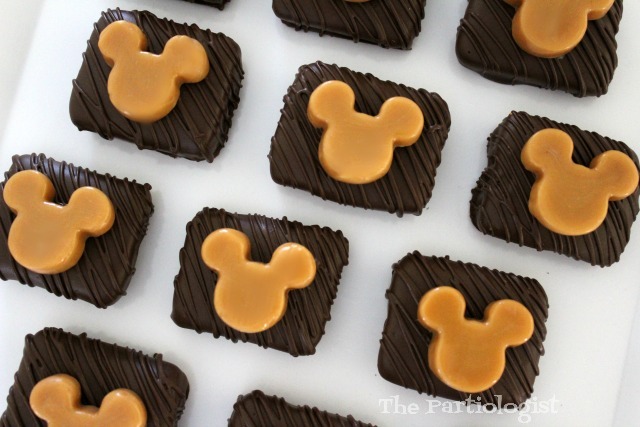 It's a Sweet Day in the World of Disney Treats! From one Disney nut to another (you are a Disney nut, right?! ), you can never have too much Mickey!! Your treats are just beautiful! I need to get one of those molds! I look for new Mickey themed cutters and basically any Mickey kitchen thingy on each and every WDW trip!